Common Questions, General Legal, Is It Legal? Is it Legal but Unethical? Just because something is legal does not make it ethical. Although you may think that differentiating between the two is obvious, it is not always so black and white. Indeed, legality does not determine ethics. In fact, there are several acts that are not prohibited by law that are widely condemned to be unethical. Ethics specifically governs interactions, whether professional, personal or both. Ethics are moral guidelines that are set, put forth, and followed by individuals or groups who agree with these guidelines. Generally speaking, ethics fall under the umbrella of moral philosophy where a particular moral choice is made and followed. Similar to the laws that govern our society, their foundation is right versus wrong as well as good versus evil. Ethics can trace their roots to the Greeks “ethos,” which means to arise from habit. Ethical values are also derived from an individual’s moral sense and desire to maintain his or her self respect. Law, on the other hand, governs our society as a whole. Laws often deal with interactions between complete strangers. Laws are a legal system comprising of principles and rules set by a ruling authority that governs over the affairs of the world, country, state, or community. Laws are widely published, generally accepted, and usually enforced. Specifically, Merriam Webster defines a law as (1) a binding custom or practice of a community : a rule of conduct or action prescribed or formally recognized as binding or enforced by a controlling authority (2) the whole body of such customs, practices, or rules. Across the globe, courts exist to uphold, interpret, and apply the law. While ethics and law may go hand-in-hand, but the interaction between the two is complicated. Sometimes, acting unethically can ruin you professionally but leave your personal life free of a criminal record. For example, cheating on your spouse is illegal and unethical in some states, but in most it is simply unethical. Most lies are perfectly legal, but the general consensus is that lying is unethical. Breaking a promise is not against the law, but many will say it is not ethical. So, even though you may not be charged for a crime because of your behavior, you are likely engaging in an act that most—possibly, including you—do not want to accept as ethical. To make things more complicated, ethical rules differ depending on the situation. When it comes to competitive situations—such as business or other high-stakes endeavors—towing the line of ethics may be the best route if the actions fall within the law. As ethics are abandoned, it is natural to want to replace this compass with the law. This can be difficult because laws are not as adaptable to change in society as circumstances and unwritten ethical codes are. 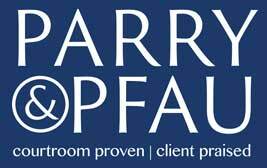 If you have questions regarding a legal matter, contact the knowledgeable lawyers at Parry & Pfau. To speak with an attorney call (702) 879-9555 today. Older PostIs it a Legal Requirement to be on the Electoral Register?